Sorry to keep you waiting! 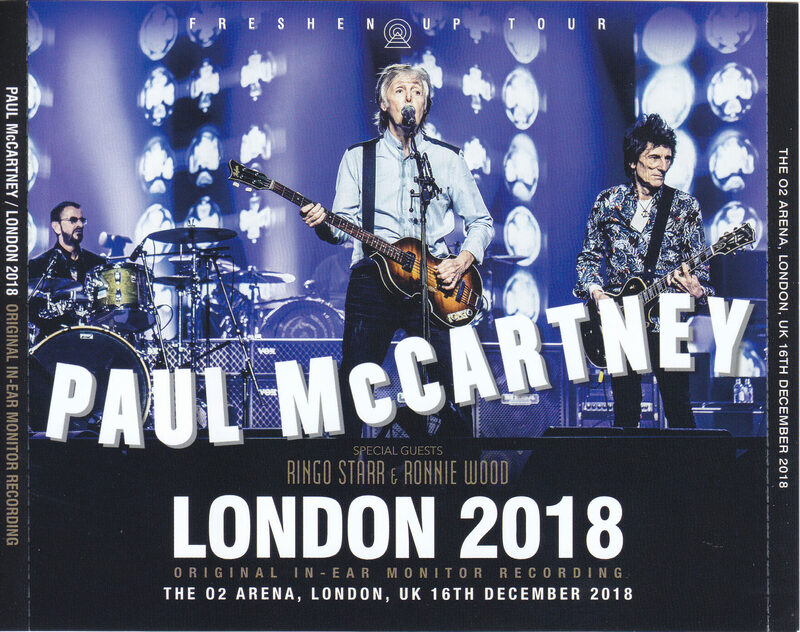 Soundboard grade superb in-ear monitor sound source of the London O2 Arena performance which appeared as a new legend by apple star and Ron Wood’s surprise guest appeared is a majestic first appearance! Suddenly I’m afraid of my personal affairs, but it was not much weird to say so-called live sound source Iyamoni recording. Surely the sound is close (or soundboard) clearness is outstanding, but is not that the sound you heard at the live venue too much different? When. Although it was actually thought that many earphone sound sources started to appear in the 2010s before the poles actually, rather than saying “Iyamoni”, imagining a unique instrument balance with the lack of that low frequency, I thought wrongly It is. So the last performance of Paul’s visit to Japan is released at Iyamoni sound source, so when we were asked to write it, we also had a chance and had set it up. Even as I who continually wrote poetry on items of our shop from usual, “I was a little tired of being …”, the mind was heavy. It was the famous board “RYOGOKU KOKUGIKAN 2018: ORIGINAL IN-EAR MONITOR RECORDING” that broke down my stiff idea. Not only clear but also good balance of each instrument (keyboards are not too conspicuous) I can no longer listen as a live album of Futu … This is “Ali!” Following “NAGOYA DOME 2018 ORIGINAL IN-EAR MONITOR RECORDING”, as well as “LIVERPOOL 2018 ORIGINAL IN EAR MONITOR RECORDING” which I chased until after the performance in Japan, masterpieces by Iamoni’s master were repeated, but to the next level It is not “GLASGOW 2018 ORIGINAL IN-EAR MONITOR RECORDING” last week that made me feel reached. Finally the gorgeous instruments balance and texture will hide, and you will be able to listen to the latest live with “Paullike” sound. The fact that the recording by the master, which everyone thought would be only Japanese performances, crossed the sea of ​​the wild, the fact that the recording was revealed at the first “LIVERPOOL 2018 ORIGINAL IN EAR MONITOR RECORDING” It was enough. Although its impact was also a considerable release, it is said that “GLASGOW 2018 ORIGINAL IN – EAR MONITOR RECORDING” will be released. 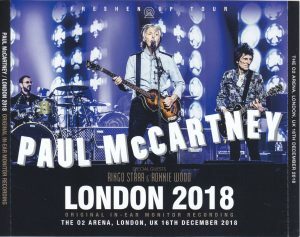 As a matter of course, expectations will rise on the final day of the tour, the last day of the tour where a surprising surprise occurred, the O2 Arena in London. It is natural that I want to hear it with superb earmony stereo sound like Liverpool or Glasgow. There can not be no such expectation to rise. That expectation is certainly not betrayed of course! Masters did a nice job in London as well. A stereo sound that is abundant but has no disagree. It is tendency to say that it is the same as Glasgow last week than Liverpool, and excessive clearness is rounded, which does not listen to ears. After all, these tastes are perfect for Paul ‘s live sounds, and he also catches the baseline of him perfectly. However in London there is a noticeable part of noise in “Let It Be” and “Live and Let Die”. Fortunately the places they are concerned are limited and they do not reach the area of ​​severe stress in listening. Ironically, it seems that the noise reconfirms the recording path (= earphone) of this sound source. As for the live of this day, as is reported in a large scale in real time, only surprises at encore is attracted attention, but as expected it is the last day of the fresh-up tour last year. Paul’s spirit is enough from the opening, and the tone of the voice is also good. As the two performances that have been released earlier have proven, the current pole is getting better as the tour goes on. For example “Let ‘Em In” etc is the difference of clouds compared with the first day of Tokyo Dome. 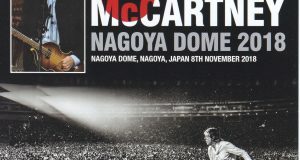 The tension is so high, and as usual I heard the MC of “Japanese in Japanese!” Asked in front of “I’ve Just Seen a Face”, but that “everyone’s coming from The interaction “Are you?” Was asked in front of “Lady Madonna”. 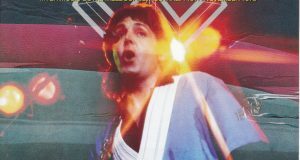 Since it is such a condition, it will be a momentum that Paul made a mistake in “Queenie Eye”. Anyway, because it is realistic sound quality, even members of the band feel like continuing the chorus while keeping the laughter. It is also noteworthy that the interesting part of this Iyamoni sound source is heard small and the cheers are picked up from the stage microphone. 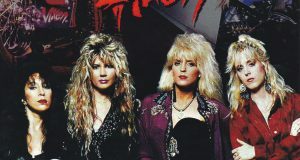 It seems that cheering is rising around 11 minutes and 30 seconds on track 1 at Coming Up, in fact at this point apple star appeared from the right side passage of the arena, because it responded to a handshake from the audience who was near, and so on The state is picked up by a microphone installed on the stage. The spectator’s voltage expecting something was MAX from the ride. When you hear that it appeared as a surprise guest, it is also a fun sound source at the time of this track 1. Angkor became a hot topic from the beginning surprise occurred, John Hamel who served as Rohdi for Paul for many years appeared for a long time and handed the base to Paul (he introduces “Johnny Hamel”). With it as a trailer, Ronnie Wood and apple appeared to be even bigger surprises. Even this sound source with a low cheer level clearly understands, the tremendous cheers at the time when the latter appears are transmitted. 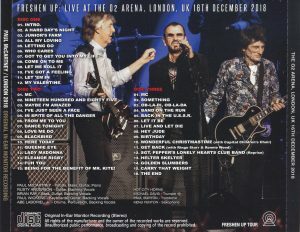 “Get Back” played with their participation, Ronnie was shaken by Paul and played solo for the second interlude and reprise, but that play was perfect as well. Before replying, the apple struck extra things (laugh) Even clearly even drumming. Glasgow alone had a considerable impact on Liverpool, which has been released so far, but co-starring with apple and Ronie, which maniacs all over the world crazy about, is outstandingly clear, and less than a month and a half from that day’s live I can not wait to enjoy it! 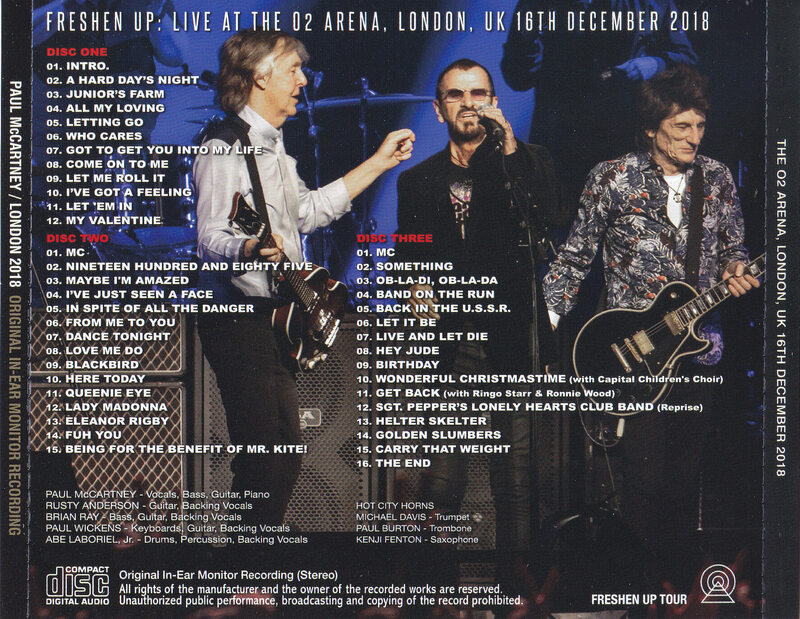 Paul playing, “You have a small surprise, it was a surprise for us,” with the best sound quality, with the highest sound quality, and 2018 fresh-up tour tour of Chiakiaku can be enjoyed to your heart’s content Move the item to your hand this week. 14. Fuh You 15. Being for the Benefit of Mr. Kite! 1. MC 2. Something 3. Ob-La-Di, Ob-La-Da 4. Band on the Run 5. Back in the U.S.S.R.